In our last article on displays for digital signage we looked at projection systems and their advantages and disadvantages. Now we turn our attention to the suitability of LCD screens in digital signage installations. What is a LCD screen? These days LCD screens are the commonest type of mass market screen, used in everything from your smartphone to your domestic TV through to the display in your GPS. Also one of the most cost effective screen technologies available due to this mass market appeal. Ubiquity – Means that the price of a screen is often very competitive compared to other competing technologies. Size availability – Available from watch sized screens right up to 150″ diagonal monsters. Power – LCD technology is very energy efficient. Bright – Modern LED backlight technologies mean some manufacturers of LCD screens can supply screens that are suitable for high ambient light environments. Resolution – LCD screens are readily available in UHD (Ultra High Definition) resolutions. Consumer Vs Commercial – The availability of LCD screens means that many assume any old screen will do the job in a digital signage deployment. 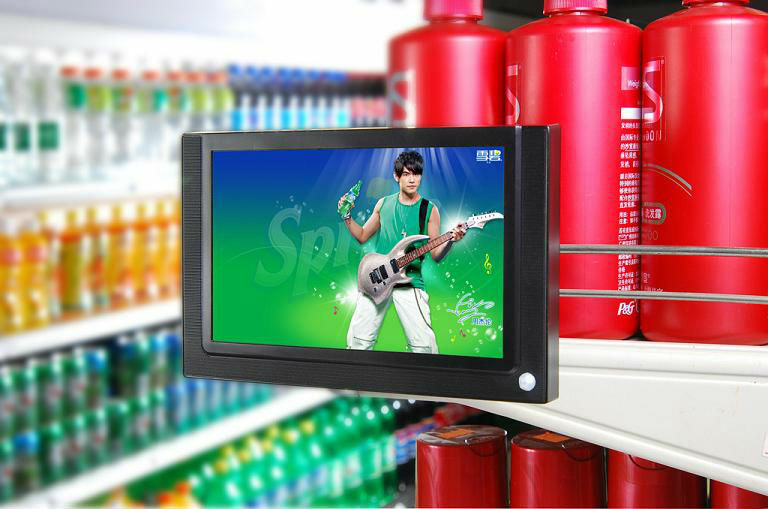 Domestic LCD TVs although cheap may not be the best solution for your digital signage deployments. Give thought to using a commercial grade LCD screen which is designed for a heavier duty cycle than a domestic TV and will have extra features suitable for a commercial rather than a domestic environment. Also consider the psychology of simply placing a TV in an area where you want attention, maybe you do not want that. Buy with care – Again because of the ubiquitous nature of LCD screens there are many suppliers who supply on price rather than quality. Many of these suppliers purchase low grade raw screens from the bigger manufacturers that they would reject or not fit in their own brand name screens. Buying on price alone may not be the answer. Differentiation – Use some creativity when looking to place ‘just’ an LCD screen. It is a common mistake for a 42″ LCD screen to be simply bolted to a wall that covers an area that means the screen fades into obscurity as it is relatively so small. In the next article we’ll take a quick look at the predecessor to LCD, Plasma screens and look if that technology still has a place in digital signage installations. This entry was posted in Digital Signage, Hardware, Tips and advice, Uncategorized and tagged #avtweeps, #digitalsignage, advertising, AV technologies, digital signage, digital signage for hospitality, retail digital signage by hsmith. Bookmark the permalink.